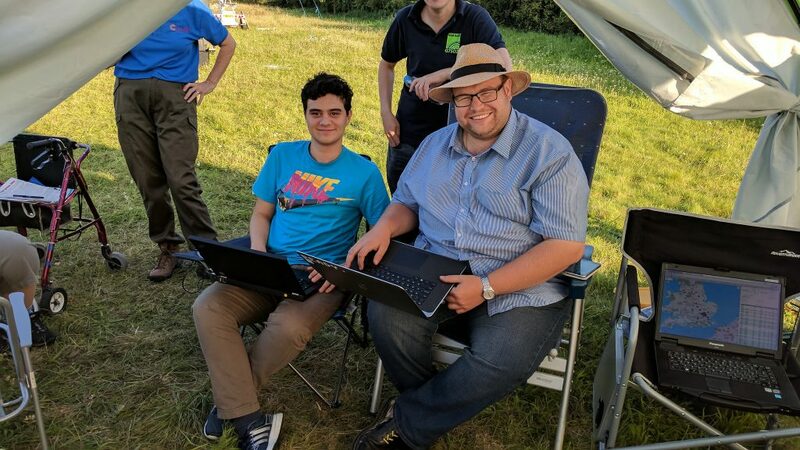 The Camb-Hams operated from a new site this year, due to their usual site being unavailable. 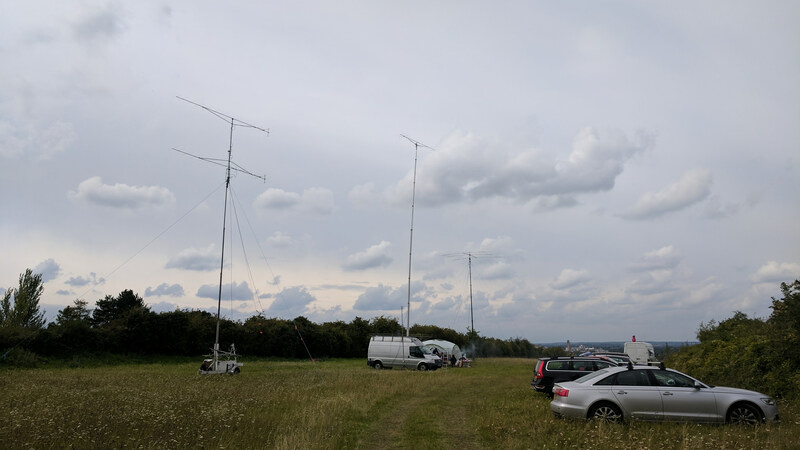 The location had good unobstructed views, the local area is very flat but it did have such a good elevated VHF take off. The event falls at the end of the year and providing a chance to catch and discuss the year’s events. 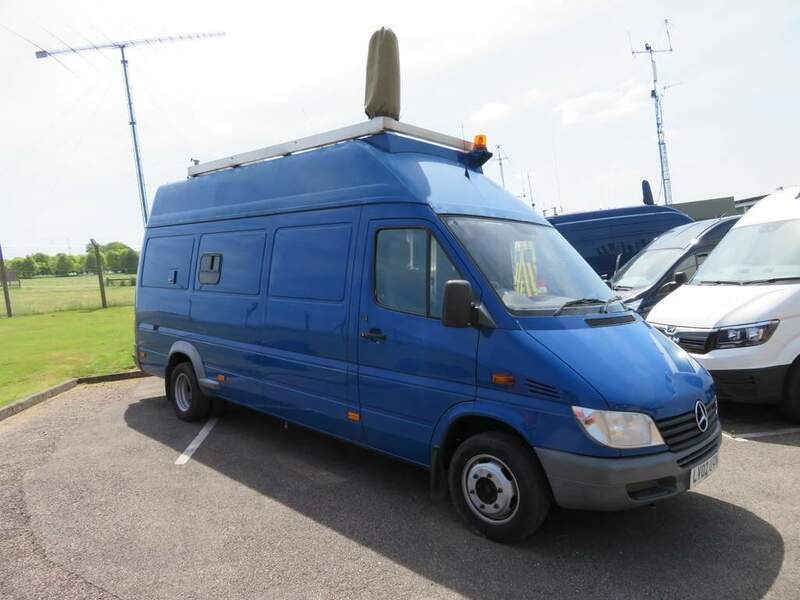 This year the team had 3 van based masts, their own Transit based Flossie with its 22m mast, as well as the recently purchased Mercedes Sprinter ex OFCOM van owned by Colin that comes with a 25m mast. Geoff G0DDX also had his 12m vehicle mounted SCAM mast. VHF was operated from Flossie, while HF was from Colin van with the 3e Triband beam at 25m. The SSB FD rules have recently changed, the maximum power is limited to 100w. This can make it hard going as I would guess some of the EU stations are running a little more power. The contest also runs alongside the worked all Asia contest, adding another dimension to the band. 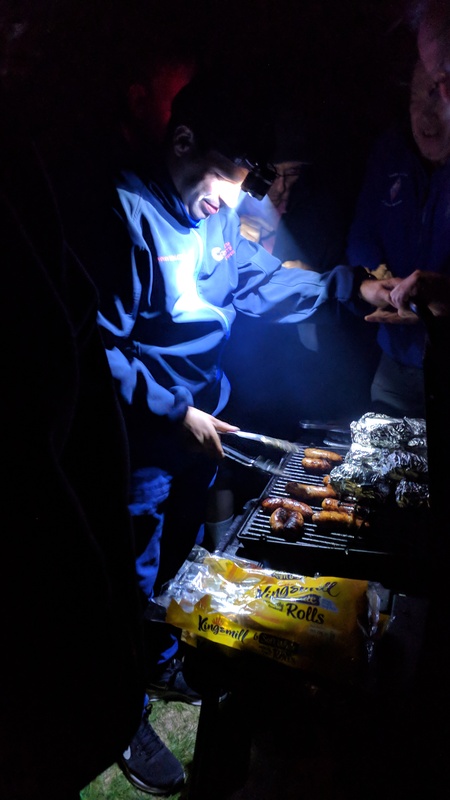 We also enjoyed a BBQ by torchlight, a field day favourite. The drone provided some aerial video and pictures from the event. Thanks for an enjoyable weekend. 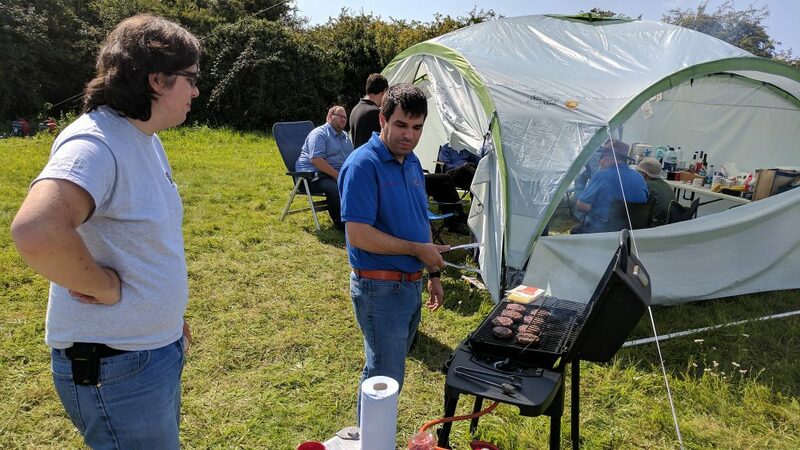 This year I joined the Camb-Hams for the SSB National Feild Weekend from their contest site in Worts’ Causeway, Cambridge. I arrived on Friday afternoon to assist with the setup, this included antenna for both 144 MHz and HF for the field day. The HF event runs in parallel with the VHF event over 24 hrs, so Flossie provided a comfortable and warm shack for the entire event. 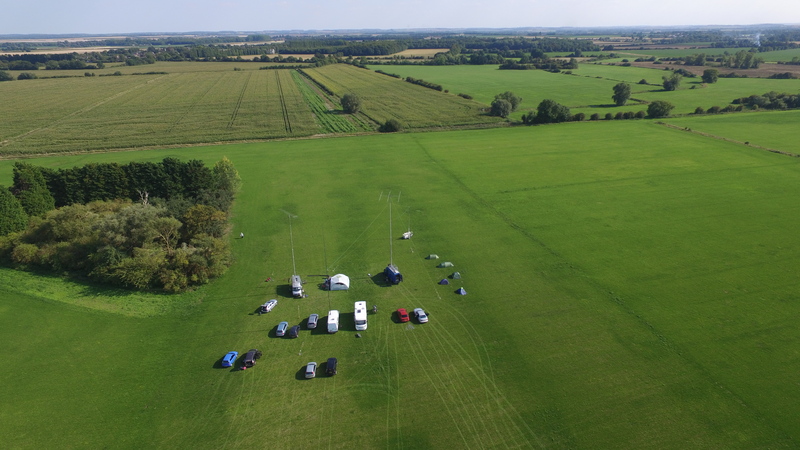 The VHF event used 2 x 17 element beams at 12 meters, plus 1 further 17 elements on the top of Flossie at 20m. 400w was delivered from a Gavin M1BXF solid state amplifier. 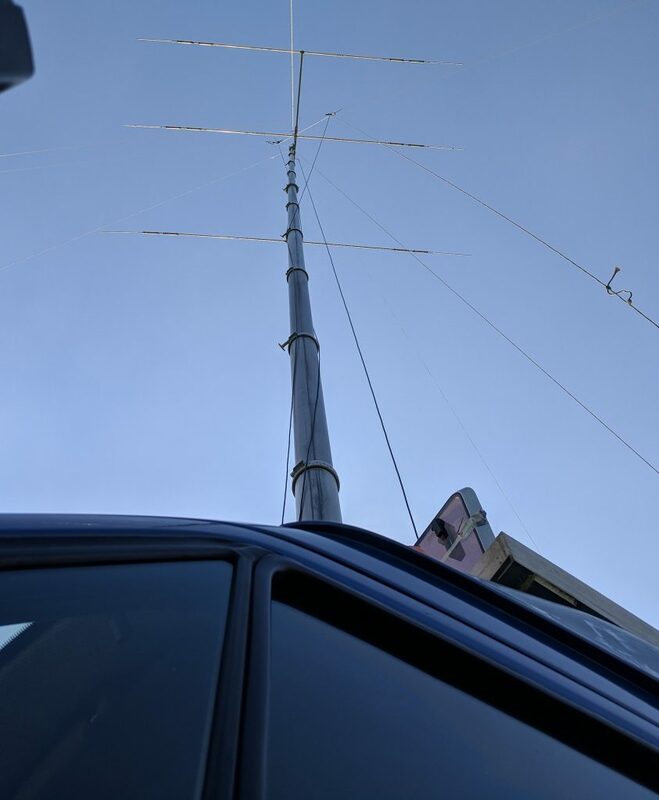 HF used a 3 element tri-band antenna covering 10/15 and 20 meters. Dipoles were added for 40 and 80m from the SCAM mast. 400w* was provided by a solid state amplifier, and mains was provided by 3 x 2kW Honda generators. 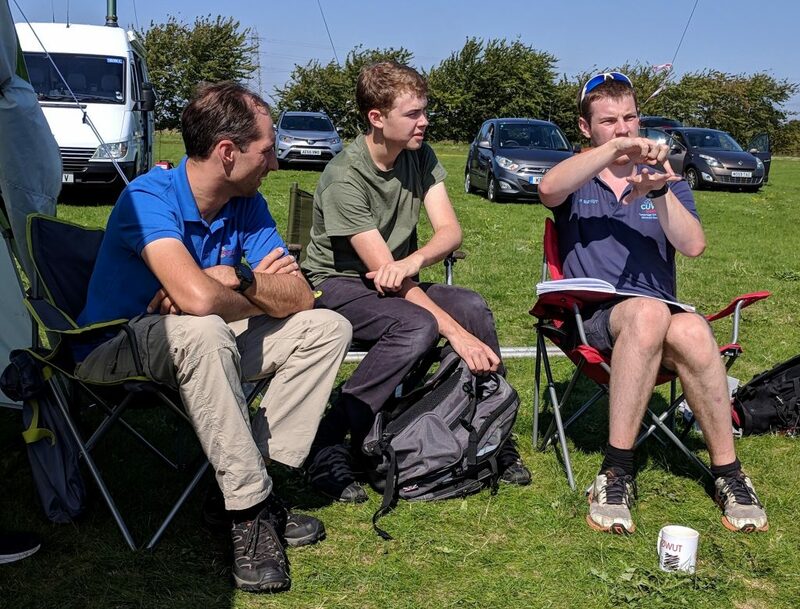 The event was very well attended, with Dave GW4ZAR getting the award for furthest travelled, having driven down from North Wales. Others had travelled from Suffolk, Norfolk, Essex, Berkshire and Cambridgeshire. In a first for a field day, the Cambridge 105 tech crew did their waffle live on air from the field day tent. 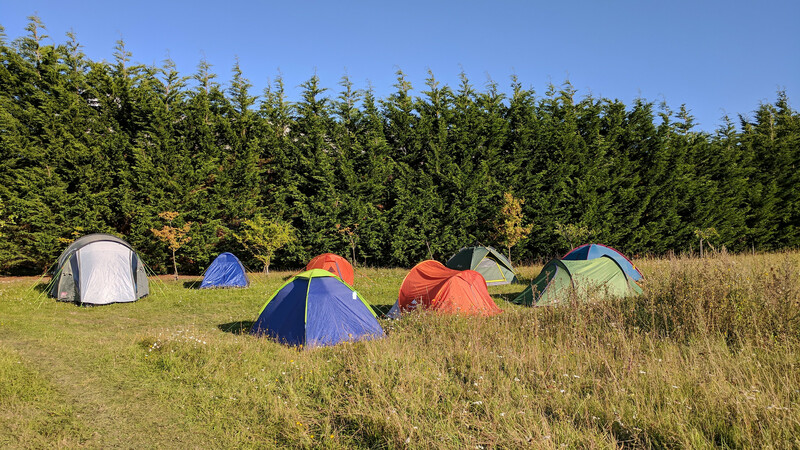 Thankfully the weather held fair, as the noise from the rain on the tent would have been interesting. The contest started on Saturday afternoon and for the next 24 hrs, the radios were pressed into action, making contacts all over the world. I don’t recall any big DX, as it’s a region 1 field day the largest constituent in the HF log would be Germany. I completed a couple of stints on HF, working mostly EU with the off USA on 20 meters. Breakfast, Lunch and dinner were provided by the Camb-Hams facilities team, Rob M0VFC and Laurence M0LCM both preparing some great burgers, sausages and bacon when ever anyone looked hungry. Altogether a really enjoyable weekend, providing time for both the social side and some contest operating. Further pictures from the event are available here. Thanks to the team at Camb-Hams who made it happen. *Due to a rule change the SSB FD now carries a maximum power of 100w. 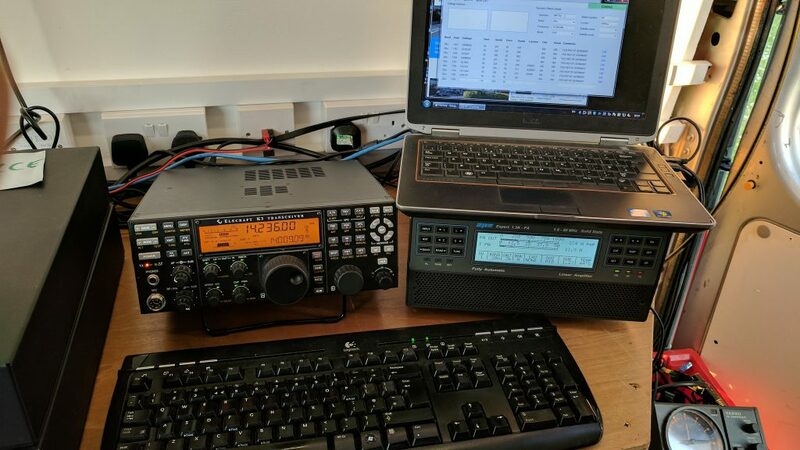 G3PYE will therefore only submit a check log for this contest.